Established 2005 by three schoolmates. Manufacturing occurs in their own factory in Melbourne. In 2018 Coca-Cola Amatil and the Coca-Cola Company each took a 22.5% stake. World's #1 soft drink company. Coca-Cola Amatil bottles and distributes The Coca-Cola Company soft drinks and other beverages in Australia, New Zealand, Fiji, Indonesia and Papua New Guinea. CCA was formed following a major re-organisation in 1989 when Amatil limited sold its interested in poultry, tobacco and communication and packing to concentrate its core business on beverage and snack foods. Coca-Cola Amatil bought SPC Ardmona in 2005. Distributor for Beam Suntory spirits portfolio in Australia. In 2018 Coca-Cola Amatil and the Coca-Cola Company each took a 22.5% stake in this company. 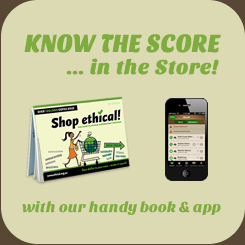 Both companies have several criticisms and an overall Shop Ethical rating of 'F'.